Introduce your clients to the Growth EIS from Oxford Capital. Investing for more than just financial gain is becoming increasingly popular. And analysis suggests that women are likely to hold $72 trillion of private wealth by 2020 – more than double the amount they held just ten years previously. And $7 trillion globally is expected to pass to millennials between 2017 and 2020. This is significant because research suggests both women and millennials are more likely to invest in line with their values (Forbes, July 2018). The types of young and innovative companies that qualify for EIS are often focused on solving big issues through disruption of traditional methods and incumbents. EIS managers like Oxford Capital look for founders and ideas that could potentially positively impact the lives of millions, if not billions. Our current portfolio companies are working on technology including robotic harvesting to optimise crop production, an online mental health portal and oncology drug development. The EIS rules changes announced in the 2017 budget have solidified EIS as a legitimate scheme, with no erosion of the generous tax reliefs on offer (subject to investors holding EIS qualifying shares for the required time periods). Thirty per cent upfront income tax relief, tax-free growth and CGT deferral are all available through an EIS investment, not to mention the HMRC approval of advance assurance depending on an individual’s circumstances. Venture capital (VC) – equity funding for new or growing firms with the potential to increase in value significantly – has remarkably similar goals to those of EIS. Low-risk, asset-backed investments managed largely for tax reliefs for investors are no longer an option in EIS. As a result, the EIS spotlight has shifted back to VC and the exciting growth opportunities that continue to arise. 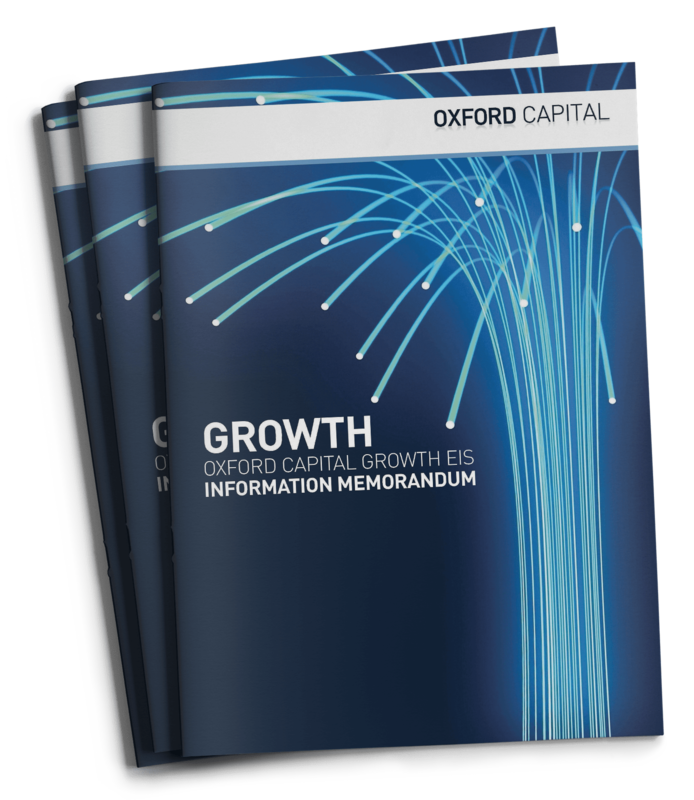 The good news is that venture capitalists such as Oxford Capital have been offering growth-led propositions within the EIS wrapper for many years. Deal flow, deal selection, due diligence, diversification, active management and monitoring are key to mitigating risks in growth EIS. Growing and maintaining deal flow requires expertise, ongoing relationships with entrepreneurs, a positive profile among the innovators and a track record of collaborative interactions, adding value to those with the big ideas. Seeing more opportunities widens the scope for finding the best opportunities. Deal flow is in the frontline of the methods employed to mitigate the risks of investing in small, young companies. Whittling down thousands of possible deals (we see 2000 – 3000 per year) to the handful that reach investment depends on bespoke due diligence. The process takes skill, technical knowledge and contacts, as well as market awareness and business acumen. The need for diversification is crucial too. These are early-stage companies and good EIS investment managers must acknowledge their potential for failure as well as success. Since the recent changes to EIS rules, managers whose experience lies primarily in capital preservation EIS strategies have been forced to pivot their activities into growth areas that are new for them. So even if they have a great record of performance and exits in EIS, it may have little relevance for their current growth-led activities and raises potential questions about expertise and access to deal flow. Although EIS can be high risk, it can also be a win-win-win for investors, with the potential of secure tax benefits, attractive gains and contribution to the growth of the UK economy. With the right support, there are young companies that can build on their best-of-British qualities to become world-beating and world-changing businesses.